Streaming Analytics allows organizations to create Real-Time Analytics computations while processing data that is streaming from social media, sensors, applications, devices, and websites. Streaming Analytics supports quick and efficient time-sensitive processing, and language integration. It does this by making use of a SQL variant, and simplifies stream processing systems. Zoomdata provides software that allows researchers to see and interact with all the data available to a modern organization, in real-time. It offers an intuitive, simple, and collaborative way to work with the data visually, and to solve business problems quickly. This is accomplished through the use of patented micro-query, microservices, containers, and data sharpening technologies. Additionally, Zoomdata makes it easy to embed Visual Analytics into any application. Organizations can use its interface, while developers are able to use it in embedding Visual Analytics into custom applications. Zoomdata’s Data DVR helps to visualize and interact with the data, similar to the way streaming video technology is used. Data DVR combines the velocity of Big Data with the ability to fast forward, rewind, pause, and replay. This helps teams to identify and track recent anomalies. The Data DVR computes rolling or static windows, continuously allowing researchers to monitor data coming from both historical and real-time data streams. Software and technology businesses wanting to embed Analytics and visualizations into their applications. Businesses of any industry wanting stand-alone Analytics and visualizations for modern data platforms. Big Data Visualization tools are necessary for fast, self-service, Visual Analytics. 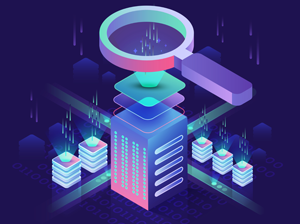 Such tools are needed to support a broad range of traditional and modern data sources, making it simple to compare historical trends with real-time streaming data, and making it easy to merge data from multiple sources. Analysts using Zoomdata, said Halsey, “can easily develop dashboards that combine multiple data sources, and share their results with other members of the research team.” Its patented data sharpening technology converts Big Data into informative visualizations in seconds. As the Zoomdata stream uses more and more data, by way of various micro-queries, the visualization becomes sharper. Zoomdata has been certified for integration with the Apache Spark system. Zoomdata applies Spark data processing as a complementary process within the server. The program queries original data sources, filtering data close to where it is stored. Filtered results are retrieved from the source, and Spark stores the data as frames. Whenever a new request for data is submitted, it recovers the data from Spark, whenever possible. Most “modern” distributed applications are designed to work as independently deployable Microservices, which are distributed over clusters of hardware. Recent advances in such things as Cloud Computing, Data Containers, continuous integration, and Data Virtualization, have made the software solutions now available quite different from those used a few years ago. The software of today is focused on delivering modern distributed applications. “The incorporation of Microservices allows for easy scaling by adding more servers, as needed, and improved flexibility by allowing for swap outs and upgrades,” said Halsey. Containers carry discrete amounts of application logic and use only the minimum resources necessary for doing their job. Microservices, like Containers, are not a new concept, but before containers were developed, building applications while using microservices architecture was remarkably difficult. Containers can enable Microservices, which is a significant change in how applications are built. There is also a related DMRadio podcast titled Finders Keepers: The New Age of Data Discovery sponsored by Zoomdata in association with DATAVERSITY®, which had additional guests who discussed the topic of Analytics, Data Discovery, Big Data, and new approaches to exploring data sources. The guest list included: Jen Underwood of Impact Analytix, Ashley Kramer of Alteryx, Ian Fyfe, and Deborah Baron of Tom Sawyer Software. The host was Eric Kavanagh, who is also CEO of the Bloor Group.